In 2018, Useless took part in Mutiny. What has happened since then? Where are they now? Paavo and Maija let us in on the benefits of being a part of Mutiny and the Helsinki Think Company community. Useless were are part of Mutiny 2018 – where are they now? Maija and Paavo, why did you join Mutiny out of all accelerators out there? We had just founded the company and Mutiny started with perfect timing for an early-stage start-up. Mutiny is a great brand and it’s content highly resonated with us and what we are doing. One year has passed since Mutiny, what has happened during this year and where are you now with Useless? We have worked a lot on validating our solution with our customers. 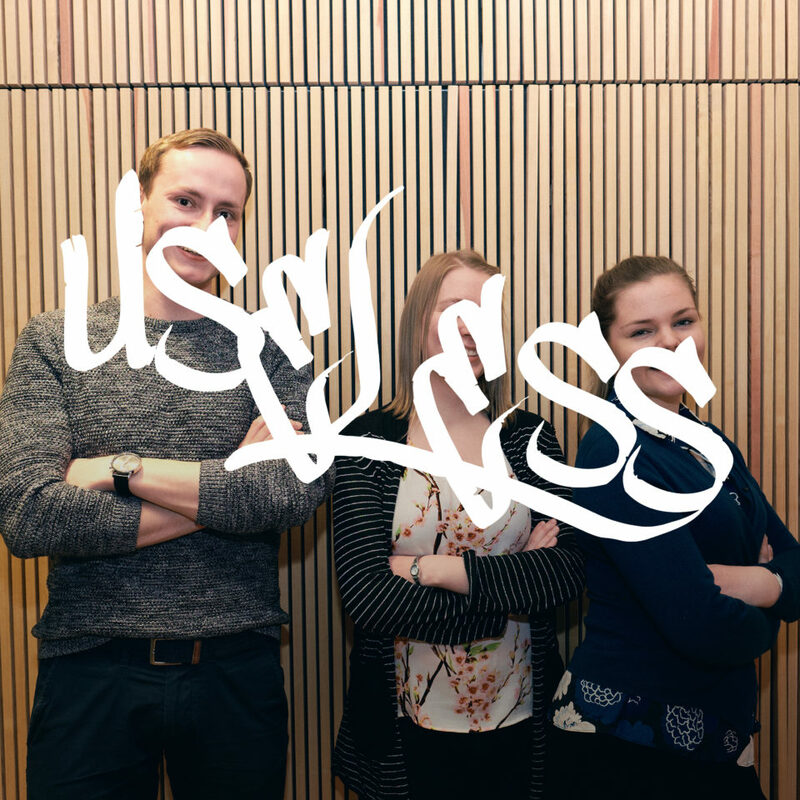 Useless is a part of the venture HOPE, which is related to measuring and improving air quality. The venture received a funding of 4,6 million from the EU’s Urban Innovative Actions (UIA) project. HOPE was collaborated together with the City of Helsinki, Forum Virium Helsinki, Vaisala, HSY and Finnish Meteorological Institute. In addition, we participated in +impact accelerator in Copenhagen, attended our first Slush. Now we are recruiting new team members and soon we will test our prototype with a closed group from our waiting list. There is still time to join the list and the pilot! 🙂 We are doing great! What were the most valuable learnings and offerings of Mutiny? Most valuable learning was the humble attitude towards the customers: don’t assume, test & ask. The importance of learning and gathering feedback with discussions. Also, the connections and network build during Mutiny. Furthermore, Think Company’s spaces have been an important base for us to work in after the Mutiny program. What’s your relationship with the Think Company community now? We consider them as trusted companions & friends. What would you like to say to teams considering applying? Do it, definitely yes! Be like Useless and join Mutiny!